Designed for agility and eye to hand coordination practice, the Carbon Claw PRO X ILD-7 Pro Leather heavy hit hook and jab pad serve as fantastic martial arts tools for improving your punching combinations, and coming up with fancy balance and speed workouts. The pads are made from genuine leather, yet they remain flexible and comfortable at the same time – there is also inner lining made from moisture-wicking, anti-microbial material. More importantly, the pads provide substantial impact absorption on each punch, as well as greater stability for wrist flexion. 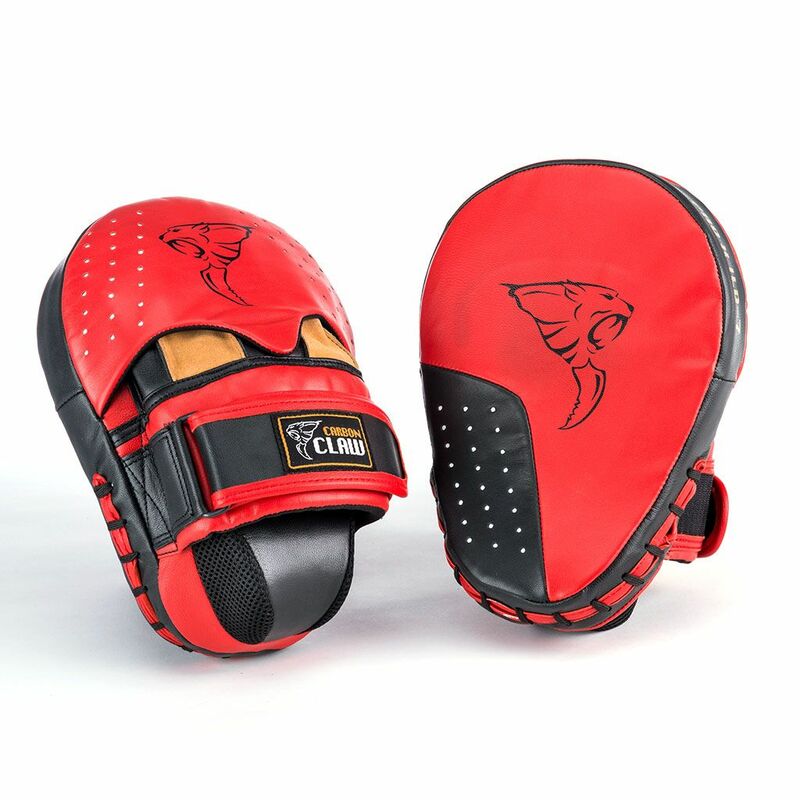 for submitting product information about Carbon Claw PRO X ILD-7 Pro Leather Heavy Hit Hook and Jab Pad We aim to answer all questions within 2-3 days. for submitting product information about Carbon Claw PRO X ILD-7 Pro Leather Heavy Hit Hook and Jab Pad. We aim to answer all questions within 2-3 days. If you provided your name and email address, we will email you as soon as the answer is published. for submitting product review about Carbon Claw PRO X ILD-7 Pro Leather Heavy Hit Hook and Jab Pad.